funny campaign… I like taking pictures of ads together with the urban environment.. sometimes it all became it’s own kind of “special sense of humor” .. I have linked back here to your post, hope you don’t mind !! i worked on this shoot, i guess it does look great - but it should considering there were 7 straight days shooting with a budget of almost half a mil (£)… the shot of the clones in tubes was about 20 shots laid on top of each other (there was only one glass tube) all that postproduction and you can still see a lead from a profoto head in the bottom right and corner behind the guys leg.. whoops. I hope to see what others will come up with to top it. 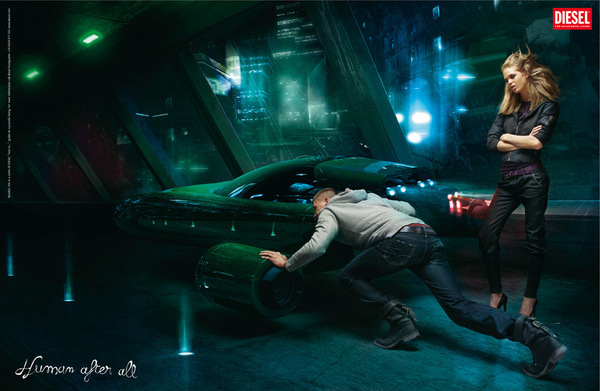 I love this campaign so much - fashion meets retro meets sci fi - top marks! does anyone know where to purchase the shoes in that ad …? I like the soccer one the best. Youth is such a wonderful thing. 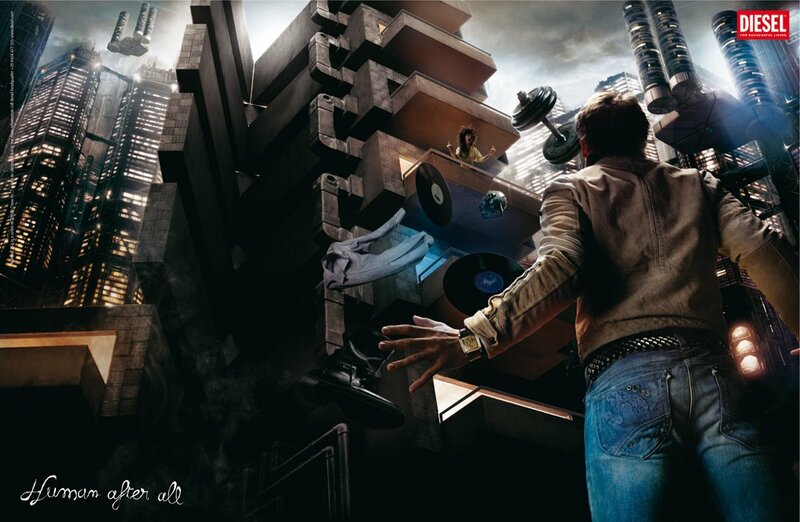 Diesel has really nice campaigns..